Pepperidge Farm Bread route for sale in the Savannah, Georgia area. Pepperidge Farm Bread route for sale in the Savannah, Georgia area for $180,000! Financing with an estimated $76,000 down! Currently grossing $354,328 per year in sales and nets $58,552. Distributorship and territory is purchased through seller and contracted through Pepperidge Farm. 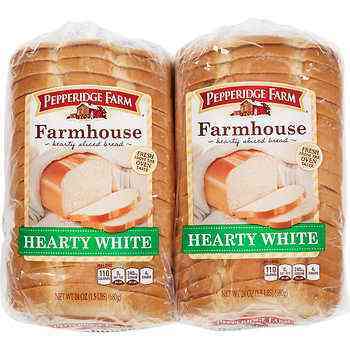 Pepperidge Farm currently distributes it’s well known brands of bread. This route currently has 12 accounts delivering to popular grocery stores. Plenty of growth opportunity. To summarize, you will deliver product to existing accounts that include grocery stores and cash accounts usually starting in the morning hours. Your responsibilities will include the following: Evaluate and creating an order of product needed for the shelf, pull the order from your inventory, receive the order through the back door, and then fill the order to the shelf. Currently this route averages $6,814 per week or $354,328 per year in sales. Documentation will be provided to all serious buyers. As an independent distributor you are paid by commission. This route currently receives an average of 20% of its gross weekly sales of $6,814; $1,363 per week. $1,363 per week is the routes gross weekly average or $70,876 per year. This number can be increased, by supporting the company’s promotions and up selling within your designated territory. Route values can also be increased by new stores opening, new product lines being added, and simple inflation. Yes, financing is available for an estimated $104,000, assuming a credit score of 650 or higher for 10 years at an estimated 7%. The remaining balance you will have to put down in the form of a certified cashier’s check. Note: Minimum credit score of 500 required for financing. Your credit score will determine how much you need down. If more financing is needed you can review additional. Financing Options Here. Expenses include, but are not limited to: (route payment if you finance), fuel, insurance for your vehicle, and liability insurance for your business, computer maintenance fee (Note: route payments vary for each distributor, depending on how much money you put down verses how much you finance through the company). The current owner estimates $237 per week or $12,324 per year in operating expenses (Note: Expenses represent a cash purchase and do not account for finance payments if requiring a loan to purchase). Pepperidge Farm offers an allowance for stale and damaged product. HUGE! The gross income for the route is $70,876 per year, minus your yearly expenses of $12,324 as mentioned above gives you a net of $58,552 per year. All route sales are determined by a ratio based on a weekly sales average. The selling price of this route is $180,000 based on a weekly sales average of $6,814; you come up with a selling ratio of approximately 26.4:1. Yes, as an independent distributor you sign a contract to represent Pepperidge Farm. The contract is to protect both the company and its distributors. Currently there are 12 accounts. The location of the accounts and warehouse will be disclosed upon execution of a Non Disclosure Agreement. Yes, this is one of the rare companies that will pay you full commission on the sale price of an item regardless of the discount it is being promoted at. In other words if an item goes “Buy One, Get One Free”, you are NOT working for half commission. The current owner has owned this route and territory for 1.5 years. The current distributor works as needed to service customers. New buyers may be required to submit a business plan outlining service levels. As an independent distributor/business owner you are responsible for servicing the route. It is our recommendation that you hire or train someone for additional time needed off. 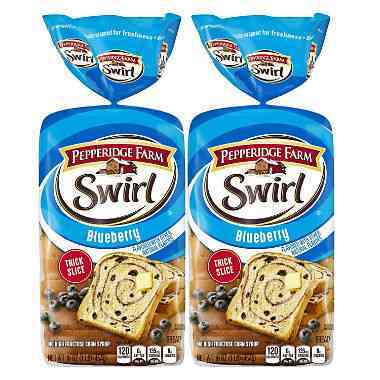 Pepperidge Farm is an aggressive company and GROWING year after year! This route has well established accounts and there is plenty of room for growth ! Priced to sell at $180,000! Financing with an estimated $76,000 down! Early hours allow great flexibility and freedom of personal time. Contact Us About This Route Here! In order to provide New Buyers with as much information as possible we have put together a quick overview of the industry. Learn More About Pepperidge Farm Routes Here! For additional Consulting Services with one of our route specialists Request A Consultation Here.